Signed copies of the book are available at Our-WV.com. "Congratulations on all the awards, and I'm not surprised . . . Our book stays on our living room table and is enjoyed by many." " . . . a combination of breathtaking photography and informative yet succinct details. It belongs on the coffee tables of outdoor enthusiasts and fine art lovers everywhere." "Every one of all ages can appreciate the sheer beauty of one of nature's most delicate and breath-taking works of art, the waterfall. It wasn't until I experienced these glorious masterpieces through the pages of West Virginia Waterfalls: The New River Gorge that I could truly appreciate the natural beauty of the Mountain State." "I thought I knew the Gorge like the back of my hand, was I ever wrong! I was surprised to find images of waterfalls I had never seen, and was impressed with the fresh takes of popular Gorge classics." 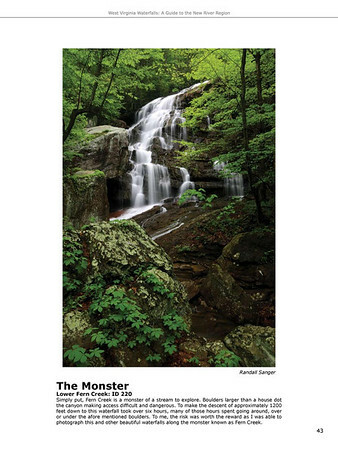 "Rehbein and Sanger's stunning photographs and delightful captions capture not only a host of compelling cascades, but also the authors' infectious joy at beholding them." "Rehbein and Sanger have created a volume as beautiful and enchanting as the waterfalls it features." "Randall, I received the books! Awesome photography, I knew WV was beautiful, just never knew how beautiful.. If someone is looking for a great Christmas gift, this is perfect!!!" 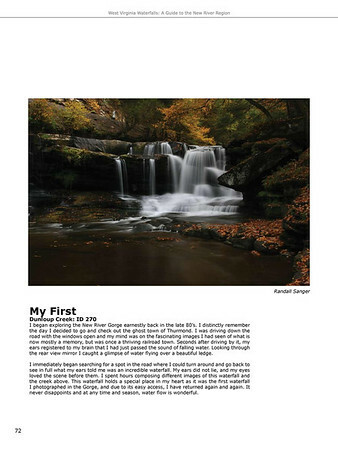 "A beautiful book I purchased as a present for my son who loves hiking and finding the awesome waterfalls of West Virginia. A wonderful coffee table book that many will enjoy." "Being a waterfall hunter and a photographer, I have bought a lot of waterfall books, and I can say this is an absolutely wonderful book! A well-done waterfall book, and I wish all of them were as nicely done as this!" "I got the book today and was very impressed. The pictures are breathtaking. Being a photographer I really liked the fact that the authors tell you how to get to these waterfalls." 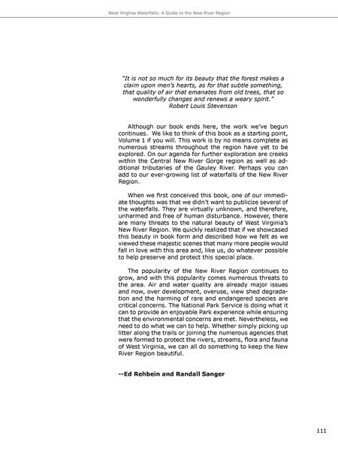 "Randall and Ed did a wonderful job on this book! If you enjoy great natural beauty and water, you won't be disappointed with this one! 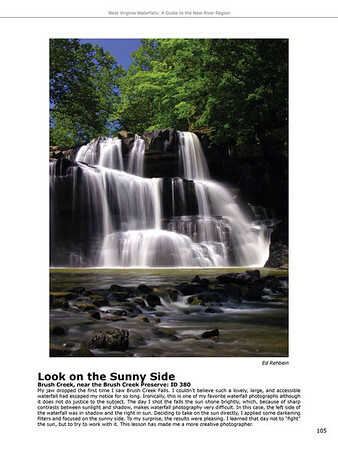 The size of the book is nice (makes a great book to leave out on your coffee table for everyone to enjoy), the pictures are terrific and the comments that go along with each waterfall are enjoyable to read. So many people I have talked with who have never been to West Virginia have no idea there is such splendid beauty here! 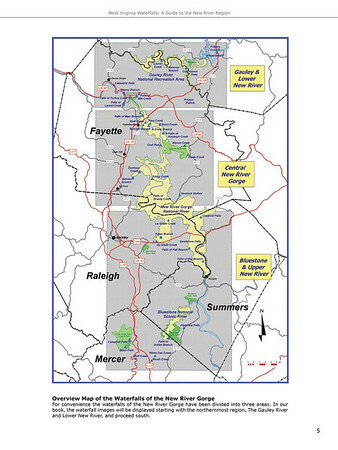 If you enjoy pretty much any type of outdoor activities, you can find them in West Virginia year around. I would highly recommend you get yourself a copy of this book, which will give you a small taste of what the Mountain State has to offer. Then, plan a trip and come see it for yourself! 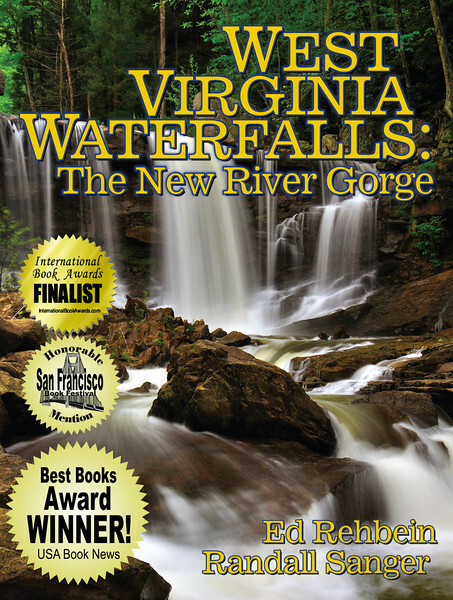 Thank you Randall and Ed for such a wonderful book which showcases the waterfalls of The New River Gorge area so well! Bravo! 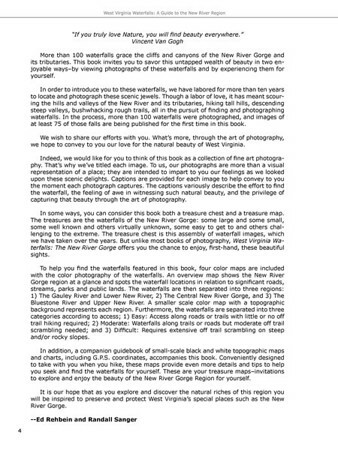 I almost forgot to add, included with this book is a leaflet which has maps and GPS coordinates for every waterfall in the book!"